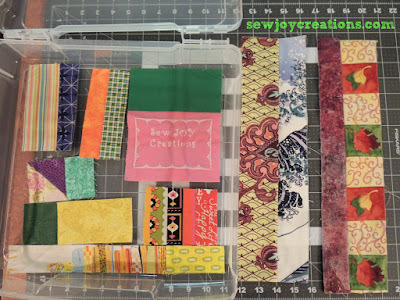 I found a way to use up my scraps as is - no pre-cutting, no light and dark organizing - just put two pieces together and go! 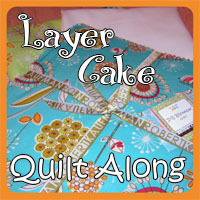 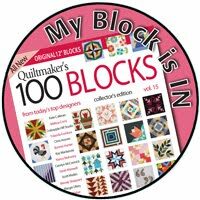 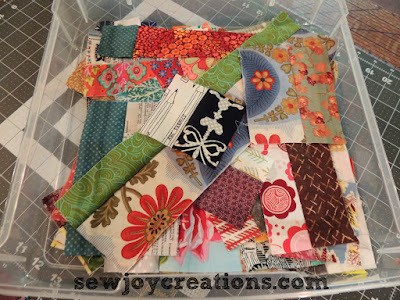 Yes, I'm finally making Amanda Jean's, of Crazy Mom Quilts fame, Scrap Vortex Quilt. 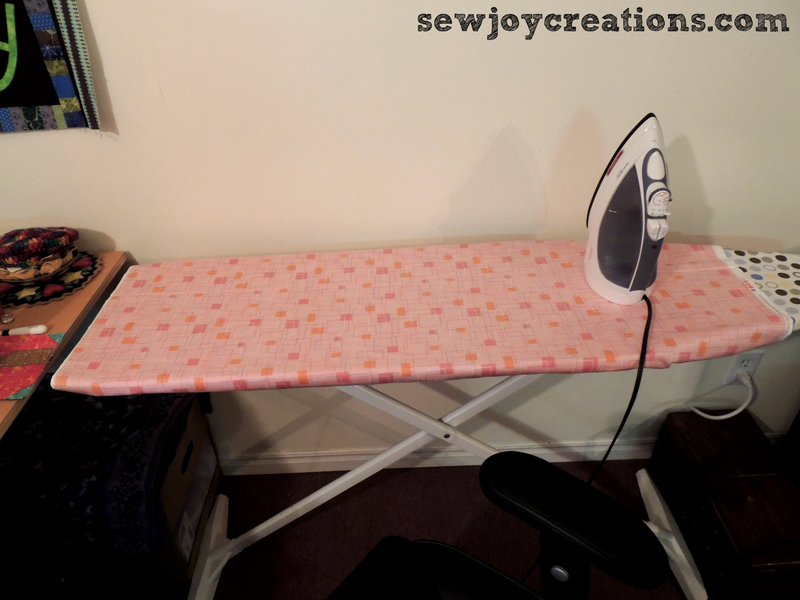 Then I lowered my ironing board to the same height as my sewing table so I could just swivel back and forth in my chair to iron. 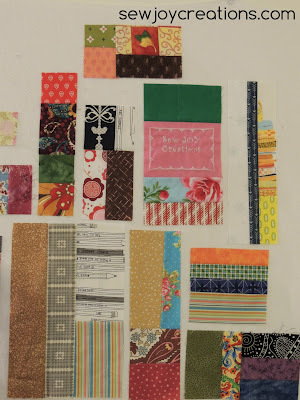 Pieces made during Step 1. 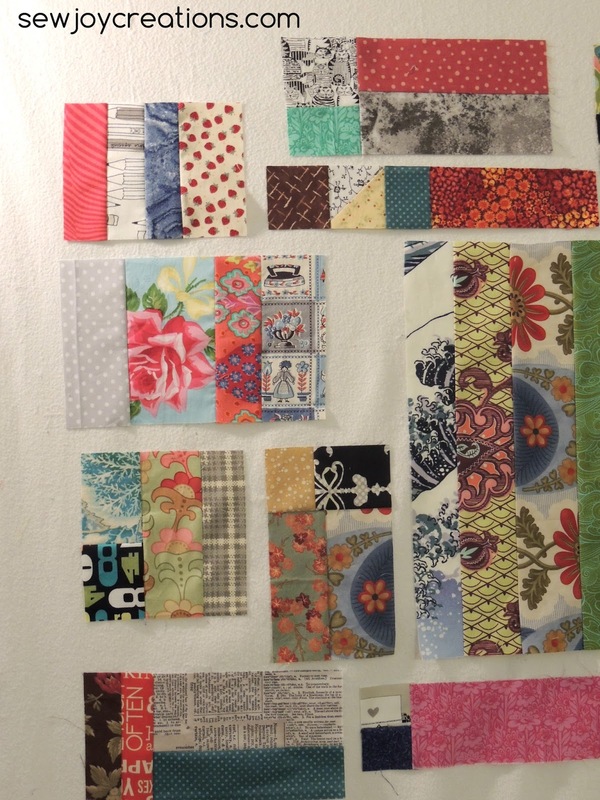 Pieces made at end of first scrap sewing session. 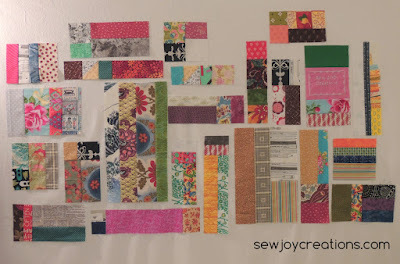 I didn't plan to keep going with Step 2 and joining pieces made together, but once I started it was fun to get back in touch with these fabrics! I feel like I just took the pressure off myself to *do* something with my scraps. I'm really happy with how it's going so far and plan to make some time to do some more Step 1 piecing soon! 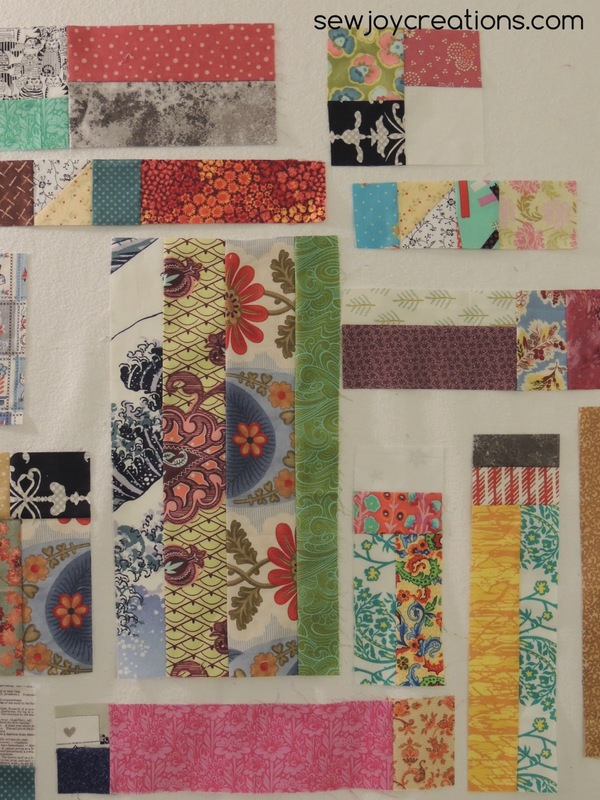 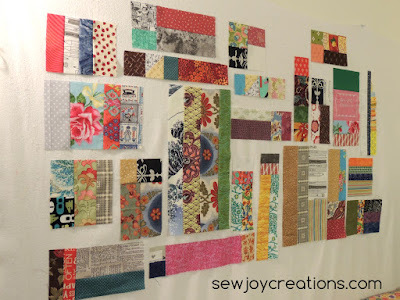 Do you have a scrap quilt in progress? 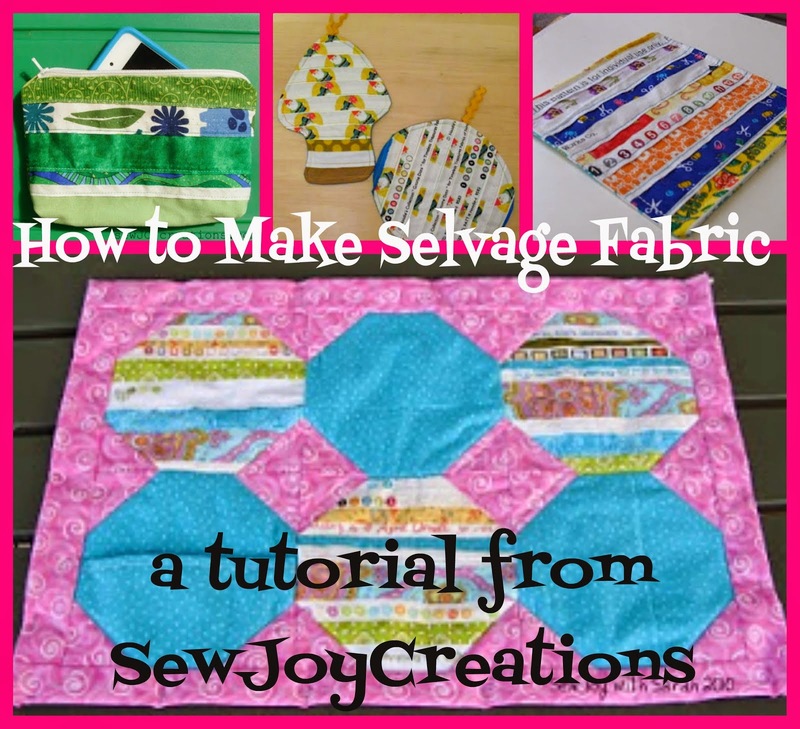 It's fun playing with scraps, isn't it? I finished cutting up my box of scraps this week and can start piecing. 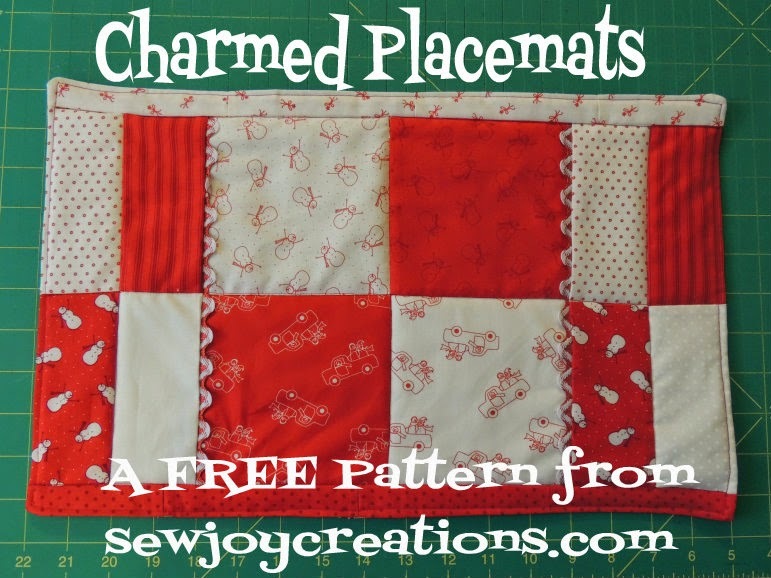 It's so nice to get the scrap monkey off my back and play with the fabric. 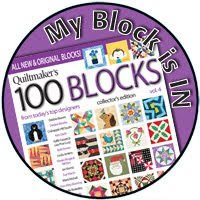 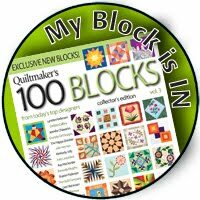 Your blocks look great so far. 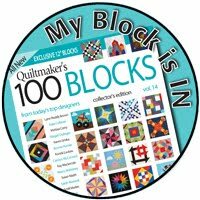 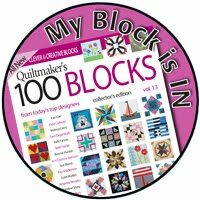 Looking forward to seeing pictures of the quilt's progress. I have way too many scraps and they take up way too much space. 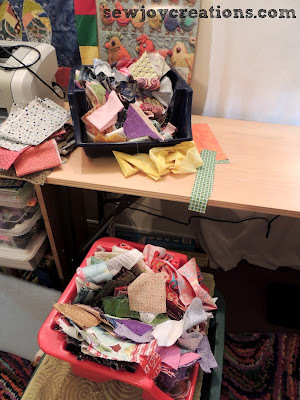 I just may start this project.